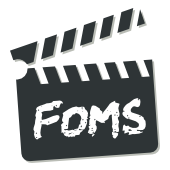 The FOMS meeting is a two-day event. Morning: Short "four slide" position statements in the morning, with each project identifying their work and current challenges. Focus and activity - introduce yourself and describe the areas that your organisation is focusing and working on. This will put your goals and contributions in context for other participants. Problem areas - describe problems that your organisation has encountered, things that are not working or not available. These items will contribute to a gap analysis and areas for further discussion. Dependencies - describe the organisations, projects and components that your organisation depends on. This helps everyone understand the map of the community. Next steps - suggest concrete goals and objectives that you wish to see followed. Afternoon: topic identification and breakout groups on particular topics of importance. Further breakout groups, time to address the issues identified on the first day to, go off in smaller groups and code away.